See attaching mounting corners for video and step by step instructions. Uses: This Full View corner size is best used with artwork that has at border or margin of 11/16" or more. The 3” corner is excellent for very large artwork or photos that are matted. One can also use the 4" mount strips to support the top, bottom and sides of the artwork. Uses: This Full View corner size is best used with artwork that has at border or margin of 11/16" or more. 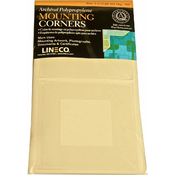 The 3” corner is excellent for very large artwork or photos that are matted. One can also use the 4" mounting strips to support the top, bottom and sides of the artwork. 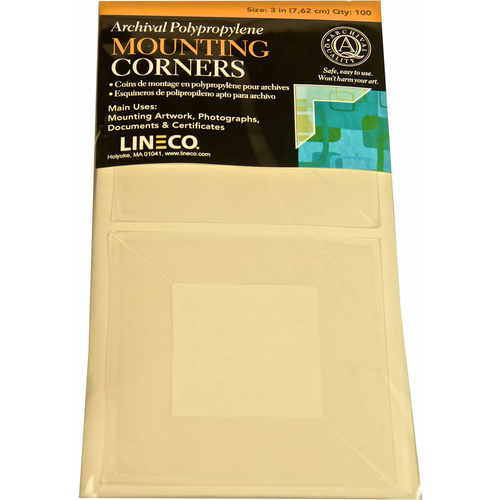 We highly recommend the use of these mounting corners for mounting photographs as there is no adhesive used directly on the photo and it can be easily removed.